We at Green is the New Black believe in empowering people to create the change they want to see in the world, one #LittleGreenStep at a time. And we do that by sharing what we’ve learnt with you. 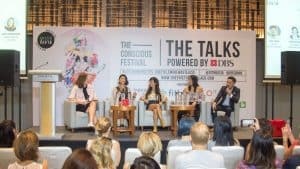 We get that not everybody could make it down to sunny SG for our incredible TALKS powered by DBS, which is why we’re doing a mini-series telling you all about what we learned from each track at The Conscious Festival 2018. Today, we’re featuring the “LIVE” track, which was all about finding the tools to break out of self-imposed limitations. Whether it be by empowering ourselves and unleashing our best selves into the world, or learning how to deal with and avoid burn out, getting rid of old patterns and limitations, or speaking our truth to set ourselves free. Here’s a brief summary of who spoke about what. “People are afraid for their future.” This was the bold statement that Paula started off with, and the nodding heads in the room proved that she wasn’t alone in thinking this. With increasing amounts of awareness about the destructive path we’ve put our planet on, people are worried; worried for themselves, the planet, their kids and their futures. And people are so scared, they don’t know what to do or if it’s too late. But there is hope; In taking little green steps and doing as much as you can, whether that’s through what you wear, what you eat, or what you use in your day to day life. 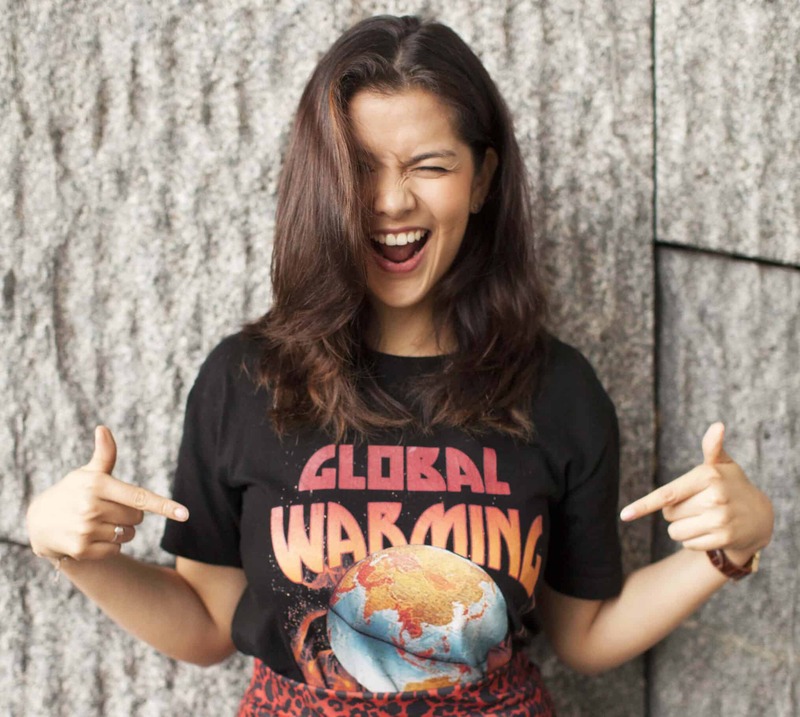 With the current fashion revolutions going on (such as the thrifting and swapping movements gaining traction), and 1/3 of the world seeing themselves as Conscious Consumers, we’re showing the big corporations out there that we are ready for change, and we’re ready to be part of the solution. With all the micro revolutions already happening all around us, we are ready to be the change. Harness the power of your passion and choose to support the causes that you love, in order to create your very own micro revolution. And take your own #LittleGreenSteps everyday, because every little step adds up, and counts. Breaking through limitations is an incredibly hard thing to do. So our panelists started right at the beginning and helped see us through common limitations, why they affect us and how to move past them. These are the common self-limiting beliefs our panelists agreed on: Lack of time, lack of money, the mentality of “I can’t do that” or “I hate eating that” and “I can’t do that because that would fail badly.” Nicole Yau explained that these self-limiting beliefs, which might arise as a result of our past experiences or traumatic events, are our own projections of past experiences into the future, rather than a result of us being present in the moment. The panelists also took the topic of breaking limitations into the territory of getting out of ruts that you’ve been stuck in. Gina Robinson explained what being stuck in a rut really means: “It’s just trapped energy that has to go somewhere, and we can decide what to do with it.” Joel Yang explained that psychologists can help people work past this by helping people shift their perspective, regardless of their circumstance. So, to sum: We can break out of our limitations after first recognizing them for what they are, and then redirecting our energies towards other aspects of our lives that will help us overcome them. Nicole Yau: Make the choice on who you want to be from moment to moment, and be that. Do what makes you feel alive and happy. Yin Ling: Remember to breathe and shake it out. Be inside your body instead of inside your mind. 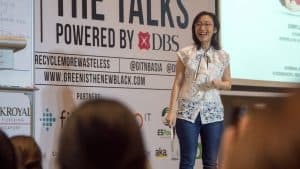 Cheryl Liew got us all to stop and just think for a moment about how hard we really work ourselves, and if we’re being the most effective workers we can be. 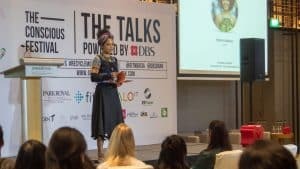 She spoke about her burnout five years into starting her own company, where she related that familiar moment that too many of us often have; She found herself thinking, “Who am I, and what am I really doing?”. Then, Cheryl began on a journey of self-discovery and high-performance living; and she shared what she’s learnt with us. For example, did you know, that tiny habits only take 7 days to change? That means that if you’re living a super consumerist lifestyle and you’re stuck and don’t know how to reduce your consumption, it could take you just one week of consciously changing your ways before they become a habit that you can then keep repeating for the rest of your life. One week. That’s how short of a time it would take for you to become a better version of you. She also shared the secrets of avoiding burnout: Aligning passion with your performance, Creating systems to pare down decision making and Create your own protocols (habits). 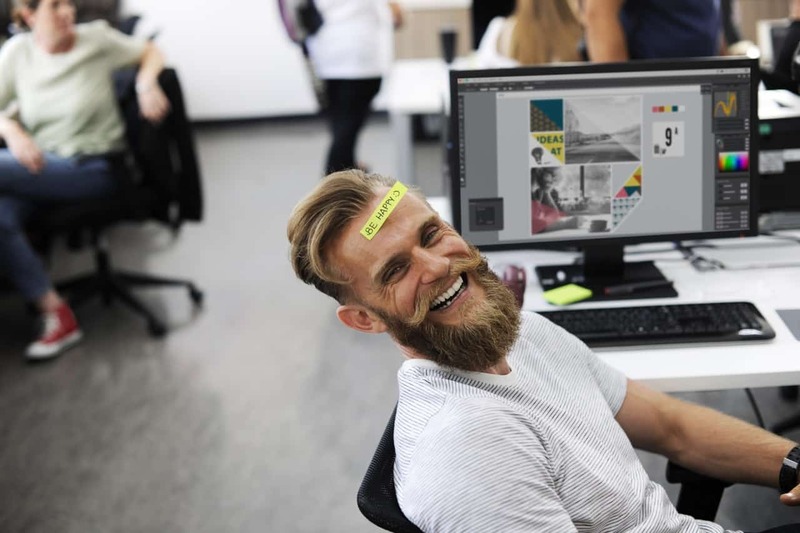 By aligning your passion with what you do, you reduce friction in your life and between what you do and your ideals as a person; By creating systems to pare down decision making, such as deciding to wear a standard set of clothes every day or eating the exact same thing for breakfast every morning or even having a routine checklist for every time you need to travel, you save plenty of time and mental capacity to then spend on more important things; and lastly by creating your own protocols (such as exercising before you eat a meal or creating a list of three things you need to get done tomorrow morning, the night before), you increase the likelihood that you will be able to execute everything you need to do the next day. Cheryl taught us that “The enemy of high performance is more”. So, aim to BE more and DO less. That’s what it takes to be a more productive you. Plan your 90-day mini-breaks in advance- you need them to avoid burning out, so that you can continue being the most productive version of you that you can be. Create protocols for yourself that simplify your decision making, and align your passion with your life so that you never forget what you’re working for. Ohhh boy- there wasn’t anyone in the room who WASN’T moved by this one. Speaking about expectations of ourselves and how to let ourselves grow beyond what we might limit ourselves to, Anoushka Beh talked us through meeting our inner children at the most vulnerable points of ourselves, in order to take them by the hands and set them free. 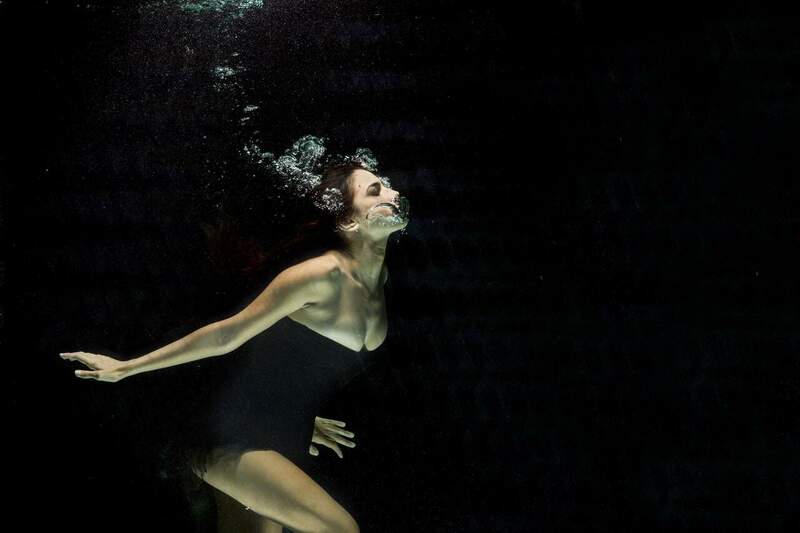 To absolve ourselves of the burdens of pain that we might’ve been unknowingly carrying around, that might be restricting us and holding us back from our true potentials as human beings. She explored the idea that we build walls to wall ourselves in and isolate ourselves within our own bubbles of safety, but we do so at the cost of integrating with our societies, connecting with people and at the cost of our own freedom. And she explained that perhaps, the obstacles we face externally (such as the pressure of expectations from our bosses or our own parents), are really representations of obstacles that we are facing internally- perhaps as childhood wounds that never got the chance to heal. She also taught us that perhaps sometimes, to move forwards in life, you need to first turn back to your past self and acknowledge who you once were and the pain you once felt in order to appreciate where you are now and how much further you’ll be going. In the words of Rumi, she quoted, “The crack is the place where the light seeps in.” So when you are hurt or scared, perhaps it is not just an entirely negative thing- it could instead be a place for healing to begin. Because hey- the fears we don’t face become our limits (Robin Sharma). So perhaps, it’s time to face our fears and begin truly living again. Sit down with yourself, and acknowledge the scared, younger and not-as-wise version of yourself. Make peace with what was and see how much stronger you have grown. See that you don’t have to hide your injured self; rather, you can hold hands and walk into a brighter future together. Making peace with your past self will set you free. 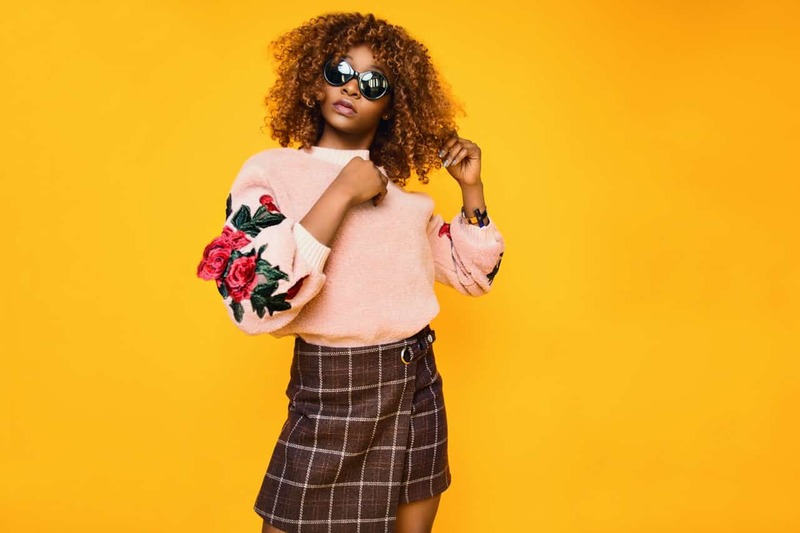 If there ever were a tougher speaker to follow, it’d have to be Deborah Emmanuel, who absolutely blew us away with her honest, fresh and incredibly thought-provoking poetry that had everyone re-thinking their lives and the way they lived it. Performing poems from her newest book, “Genesis”, she had us all enthralled with her live rendition of her poems “They Call Us Freeborn”, “Worship me” and “Dragon Tongue”. She told us how writing poetry allowed her the freedom to come to terms with and unlearn the harsh teachings of her very religious upbringing, and how she decided to teach herself to draw (and then went on to illustrate her own book!) after spending her entire life believing that she was not good at it; how she realized that you don’t get good at things without doing them. And how speaking her poems, her truths, and telling her stories, set her free, and allowed her to achieve heights she never once dreamed she’d be capable of achieving. Pick up your paintbrush (and if you don’t have one, use your bare hands), Pick up your dancing shoes (and if they don’t fit, use your bare feet). Don’t let anyone say you can’t draw, or dance; not even your own mind. Let yourself try- because hey, you don’t get good at things without first doing them. 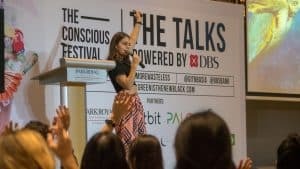 And that’s just the gist of what we learned about breaking limitations and setting ourselves free at the “LIVE” TALKS Powered by DBS at The Conscious Festival 2018. Can’t get enough of these? Well, we’ll be having summaries for each of the WORK, CONSUME and TRAVEL tracks coming out soon, so check back for them! 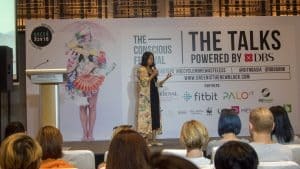 In the meantime, why don’t you see what else you missed out on at The Conscious Festival 2018?